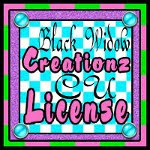 ♥ I Love Lucy DigiArt Designs ♥: Quick Tutorial- How to make an image follow your direction! Quick Tutorial- How to make an image follow your direction! I use Gimp 2.8 and wanted to find a way to make whatever graphic I chose follow my direction. I found a way to do it and wanted to share! In this tutorial, the graphic is a brush that I have created. I am making it form a circle. Open a new canvas, leave background white for now and add two transparent layers. Drag and drop the graphic of your choice, any PNG element. Scale it to the size you want. This layer should be the active layer in the layers box- just left click once on the layer to activate it. Then go up to EDIT>COPY, it should appear in your brushes dialog box. That box should be at the bottom right as shown below. If you click on the paintbrush tool, the settings for it should come up in the TOOL OPTIONS window, below all the tools. Make sure the box for INCREMENTAL is checked also. To the right of the brush dialog box is the spacing- how far you want to space each image from the last. Just play with this until it's spaced where you like. In one transparent layer, make a shape using the ellipse select tool, form a circle and fill it in, any color. This is your "guide." In the other transparent layer, click on the brush tool and aim the mouse pointer around the top rim of the circle. Click and hold down the mouse while slowly tracing the outside edge of the circle. You can always go to EDIT>CLEAR if it messes up and start over to get it the way you like. Now delete the circle layer and save your new image you've made as a .png! I'd love to see what you've done with this tutorial!